You are here: Home / Food / Strawberry Brownie Kebabs – A Fun Treat on a Stick! 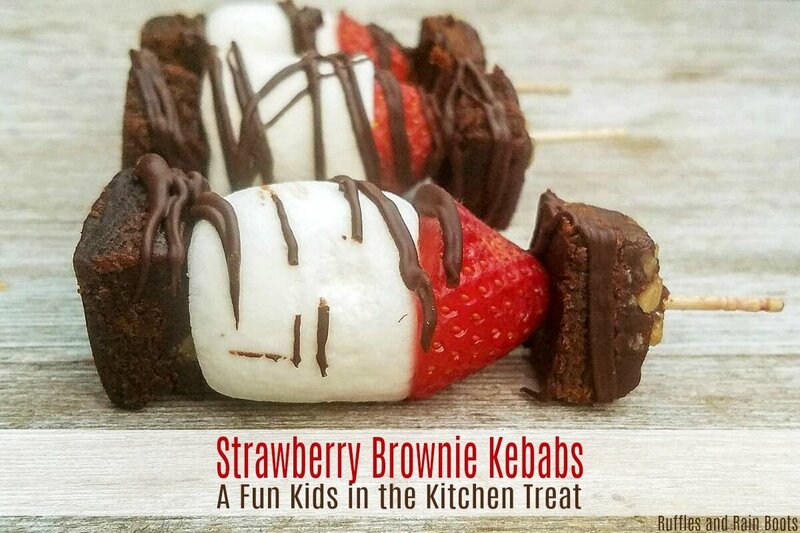 Strawberry Brownie Kebabs – A Fun Treat on a Stick! 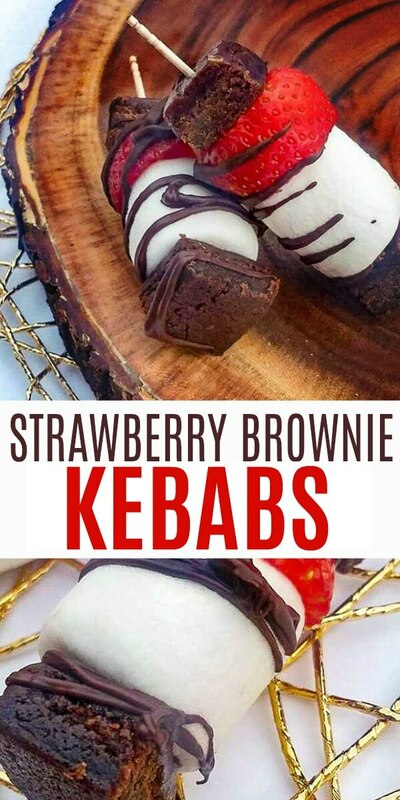 These strawberry brownie kebabs are so much fun to make and eat! My daughter loves this strawberry dessert idea because she can help make it. These strawberry kebabs are a snap to put together and require barely any adulting of the kids. It’s the perfect treat for everyone! Remember how I said to get the kids in the kitchen? Seriously, this strawberry skewer treat requires minimal adult supervision! 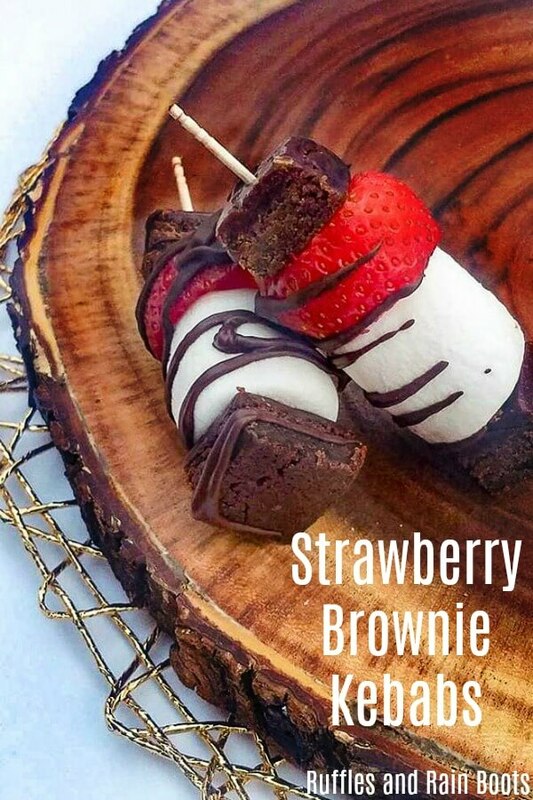 Press a brownie or two onto a skewer, followed by a marshmallow, and one strawberry. Continue until your skewer is full. Repeat with all skewers and lay them down on a plate or wax-paper coated pan. Place the chocolate chips in a microwave-safe bowl and add about a tablespoon of coconut oil. Melt in 30-second intervals, stirring between each. Transfer the melted chocolate to a zip-top bag and cut a small hole in one corner. Drizzle a generous amount on the skewers and place in the refrigerator so the chocolate hardens. 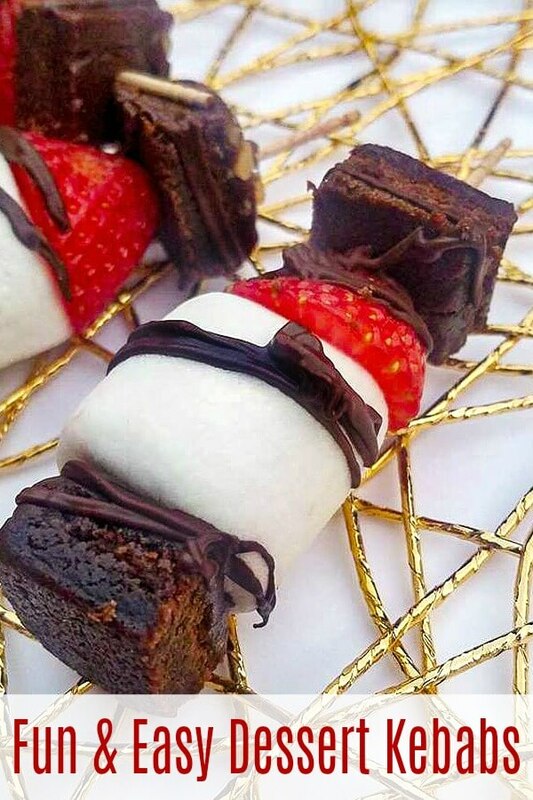 And you’re done with your fun – and guest-worthy – strawberry brownie kebabs! Have you made many treats on skewers? My daughter thinks they are the bee’s knees!